These are the instructions to Flash Stock Rom on Android Devices using Phoenix USB Pro. Step 1: Download and install the Android USB Driver for your device on your Windows Computer. In case you have already installed the USB drivers for your Device then SKIP this step. Step 10: Now, hold Volume Down key and connect your Android Device to the Computer using the USB cable. Step 12: Once Phoenix Pro will detect your device, the Flashing process will begin automatically. Step 14: Now, close Phoenix USB Pro application and disconnect your Android Device from the computer. 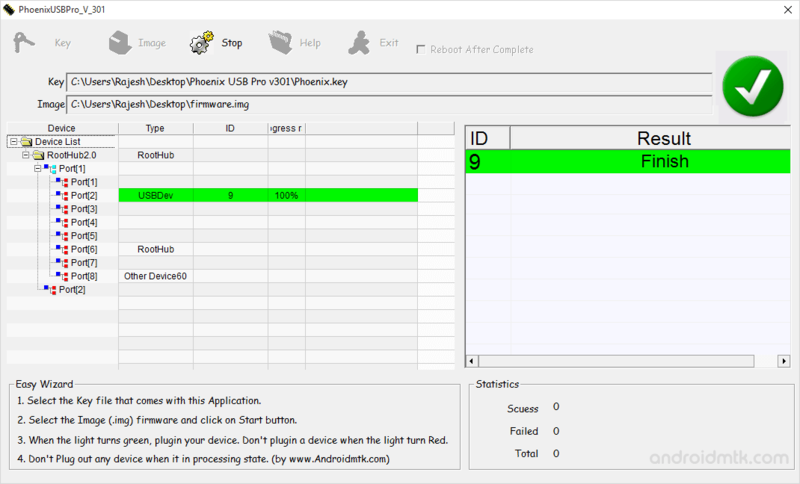 [*] Alternative Tool: PhoenixSuit is the best alternative to the Phoenix USB Pro. You can Download PhoenixSuit or read How to use Phoenixsuit.